We are a custom residential design firm established in 2003. Our ability to listen to our client's wishes regarding an individual project allows us to create a design specific to the specific needs and budgets. 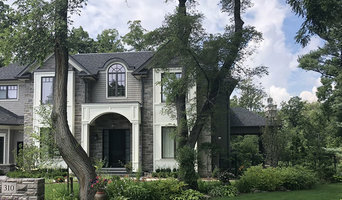 Our firm offers all the services necessary to complete any project from new home builds and cottage designs, to renovations and additions as well as landscape/exterior design in a broad spectrum of styles to suit our client's overall vision. 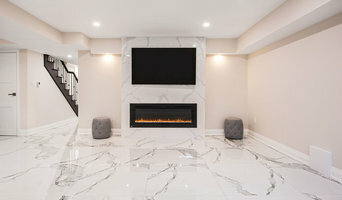 A project is only as good as its people and at Structured Creations, our team of professional, focused and creative individuals provides unique and innovative custom house designs. Let Structured Creations arrange an initial consultation with you to discuss your individual project scope and budget for your new home, cottage build, renovation, addition or exterior design. Concept Kitchen and Bath is a complete kitchen and bath company specializing in design, supply and installation of mid to high-end residential kitchens and bathrooms. Catering to both retail and design clientele our knowledgeable staff is available to assist you in planning your kitchen or bath renovation. Family owned, and with over ten years of business located in Burlington, Ontario we offer a wide array of products available for your Kitchen and Bath needs in our showroom. From flooring to faucets, vanities to counter tops, tubs, cabinetry, showers, and boutique brands - we are your one stop shop. We also specialize in custom vanities as well as complete custom kitchen cabinetry. We provide Project Management expertise by coordinating all trades including Electrical, Plumbing, Drywall, Framing and Installation to ensure that your renovation is completed as smoothly as possible. Contact us to schedule a design consultation or to discuss your upcoming kitchen or bath renovation. We would love to help you realize your dreams! 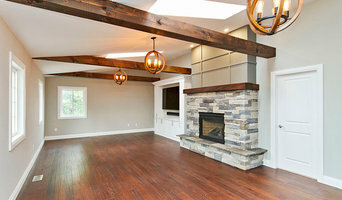 Velusina Design and Construction Inc.
Northgate Construction specializes in home renovations and additions. Based out of Burlington, with a long list of client satisfaction, we will help you achieve the project of your dreams. Owners Tellen and Mike have over 35 years combined experience in the skilled trades. Our team has been carefully hand picked throughout the years to make sure that our clients get the best results from start to finish. Pinkus Interiors is a full service design firm specializing in kitchen, bathroom & basement renovations & furnishings for every room in your home. 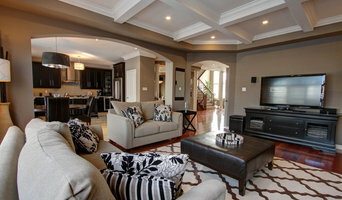 We have been transforming homes in Burlington, Oakville, Mississauga and the GTA for over 12 years. We focus on careful planning so that your home is as functional as is it beautiful. Our goal is to create a comfortable space that reflects your lifestyle. We believe that Designing Comfortable Living means helping you get clear about what you really love and what comfortable means to you so that your time, energy and money are spent on what matters to you. Toronto Kitchen & Bath Experts Visit Our Oakville Showroom! Catlin Inc. provides homeowners with design services, new builds, and renovations. We are your trusted partner in whole home renovations, additions, condo remodels and design+build projects. We take responsibility for the entire project to the complete satisfaction of our valued clients. Welcome to Onelife Design & Build. We are a group of dedicated home builders and renovators that will help make your dream home become a reality. We simply integrate all elements of the building / renovating process - real estate, architecture, engineering, permits, demolition, construction and management. With our expect team having years of experience on projects both big and small, we will be sure to meet and exceed your expectations. Maxime Kitchens and Baths Inc.
Maxime Kitchens and Baths prides itself in it's quality craftsmanship, excellent customer service and lasting customer relationships. Our objective is give each client a positive experience and so we treat your home as our home, with care and respect. Renovations are not easy for any family. With the added pressure of important stylistic decisions and budgeting, you need to partner with a business that understands how to bring your vision to fruition in a way which makes your life as simple as possible. At Maxime Kitchens, we treat your home as our home. Our personable service truly sets us apart from others in the business. Maxime Kitchens understands the questions and pressures you face when you set out to renovate important parts of your home, such as your kitchen or bathrooms. We are a company built of caring individuals who put our customers first by placing your interests at the forefront of our priority list. Achieve Your Vision with a Custom Kitchen Renovation in Burlington Do you value innovation and design? Welcome to the family. At Gravelle Woodworking Ltd., our in-house team will design and build every piece of your project. We want you to experience quality and originality firsthand—choose us for kitchen and bathroom renovations in Burlington. Your Vision We understand that you have a particular vision. We’ll give you the reigns so you can have control over each phase of your project. With all aspects of design and construction under our watchful eye, you can rest assured that every detail of your project will meet our standards. Our Team You deserve the best, and our design team strives to deliver just that. We understand that custom woodwork is only as good as the people who create it. Our craftsmen value innovation and will use advanced tools, materials, and construction methods to bring your vision to life. Our Process At Gravelle Woodworking Ltd., our team will cut, assemble, and finish each component of your project to your exact specifications. To ensure the enduring value of your cabinets, we use the finest woods and methods. Kenneth Homes Design Build Inc.